There are many universities in the United States that offer a variety of fine arts programs. Choosing where to attend school comes down to more than just the program you wish to study. For the next four years you will most likely live in the city or town of the school you attend. The following article provides students with an overall perspective on what you can expect from each region of the United States, the overall best school for each region, and the difference between private and public colleges. When determining where to study fine arts in the US, you should write down a list of what you consider to be the most appealing qualities of a school. This list could include information about the academic department, the size of the school, extracurricular activities offered, and whether or not you want the school to be religiously affiliated. International students must realize that the university you pick will ultimately be your home for the next four years. Try not to get caught up in the typical prestigious universities. While they may seem appealing, the acceptance rates are much lower, and you're just as likely to get an excellent education from a lesser known or private school. 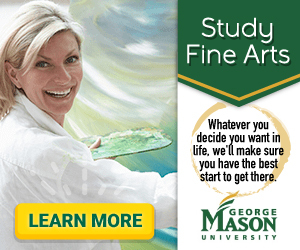 Perhaps the biggest factor to consider when choosing a fine arts school is location. There are 50 states with over 300 art schools in the US to choose from. Each region of the United States has something different to offer. From differing climates to cities, suburbs, and rural areas to reside in, note the schools you are interested in and research the area it is located. For easy referencing, the US is split into four separate regions: West, Midwest, Northeast and South. The U.S. News and World Report compiled a list of the best regional university rankings in the US. Using this list and a regional map as a reference, international students can benefit from determining how the schools they have chosen compare or where to study fine arts in specific regions. The Western region of the US is composed of 14 states and spans from Washington to California and Montana to Texas. The west is home to many independent artists, prominent entertainment cities such as Hollywood and Los Angeles, as well as the birthplace of many new forms of art. The culture is more youthful and environmentally aware than other regions of the US. The climate can vary from the Mediterranean conditions of California, to heavy year-round rainfall in Washington to arid, desert conditions in Texas. A top regional school in the west is Trinity University in San Antonio, Texas. This private University has an urban setting that overlooks downtown San Antonio and has 2,417 students. There is a 63% acceptance rate, 9:1 student to faculty ratio, and tuition costs $31,356 USD. Bachelor of Music and Bachelor of Art degrees are offered. International students will find it easy to draw inspiration from nearby historical sites such as the Alamo, the San Antonio River Walk, and various parks. The Midwestern region contains 12 states and spans from North Dakota to Michigan and Kansas to Ohio. This region is known for its newspapers and publication companies, as well as museums and orchestras. Perhaps not as prevalent in the art scene as other regions, the Midwest is still home to many prominent fine arts colleges. If you end up living here, expect severe lake effect storms in the states bordering the Great Lakes, and be aware of tornadoes. One of the best regional schools in the Midwest is Creighton University in Omaha, Nebraska. It is a private school that has Roman Catholic (Jesuit) religious affiliation and is located in an urban setting. There are 4,206 schools, a 78% acceptance rate, 11:1 student to teacher ratio, and tuition costs $31,894 USD. Bachelor of Arts and Bachelor of Fine Arts degrees are offered. Like most art schools in the US, Creighton is near art museums, public art displays, and several theaters. The Northeast region contains 9 states and spans from Pennsylvania and New Jersey to Maine. This region is known for its theatre, old historical architecture, and world famous museums. Expect heavy snowfall and bitter temperatures in the winter with mild to hot summers. One of the best northeastern schools for fine arts is Villanova University in Villanova, Pennsylvania. The school is Roman Catholic affiliated and located in a suburban town 12 miles from Philadelphia. There are 7,146 students, 45% acceptance rate, 11:1 student to faculty ratio, and tuition costs $41,260. A Bachelor of Arts degree is offered, as well as several interesting minors. A fascinating fact is that the school served as a military hospital in the Civil War and WWI. Many students claim the school is haunted which sounds like some good artistic inspiration. The South region is home to 15 states and spans from Louisiana to Florida and Oklahoma to Delaware. The South is home to various origins of music, tales from the past, and many historic sculptures. The climate is subtropical with occasional hurricanes and constant humidity. However, the further south you live, the less chance you will encounter snow. Rollins College was ranked the best school in the south and is located in Winter Park, Florida. The school is located in a suburban atmosphere that is minutes away from Orlando. There are 1,730 students, a 56% acceptance rate, 10:1 student to faculty ratio, and tuition is $38,400 USD. A Bachelor in Arts degree is offered in a variety of specializations. The quaint downtown area is home to galleries, restaurants, parks, and museums. After reading this information, maybe one of the regions stands out more to you than it has before and you now know where to study fine arts. Or maybe you have located in which region your school is found. Either way it is good to research further into what each region has to offer you as a home and artistically. Keep in mind that the majority of The U.S. News and World Report school list discusses private universities. These schools are more expensive, but offer a more personalized education. Everyone has different needs and concerns when it comes to applying to schools, be sure to know as much information as you can and acknowledge your preferences before you begin the application process to art schools in the US.